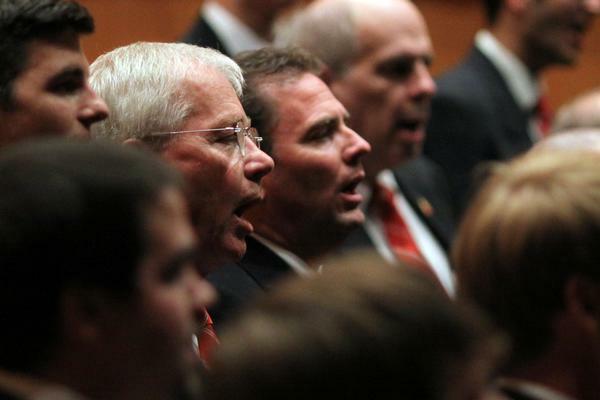 How Can They Keep from Singing? 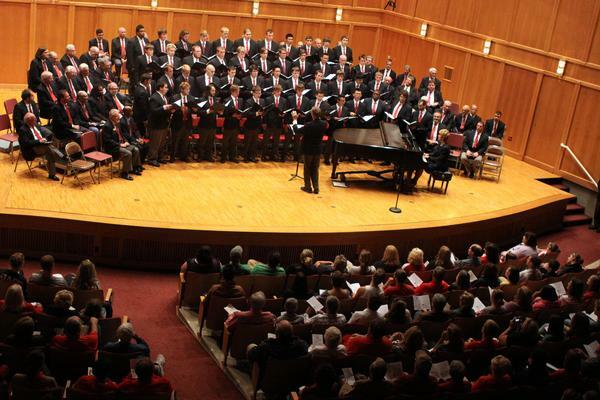 “I was thinking how proud I am to be from a small school where 100 guys get together on a Saturday night and sing,” said Eric Stark ’88 as he stepped forward to guest conduct early in the Glee Club Alumni Reunion Concert in Salter Hall Saturday. 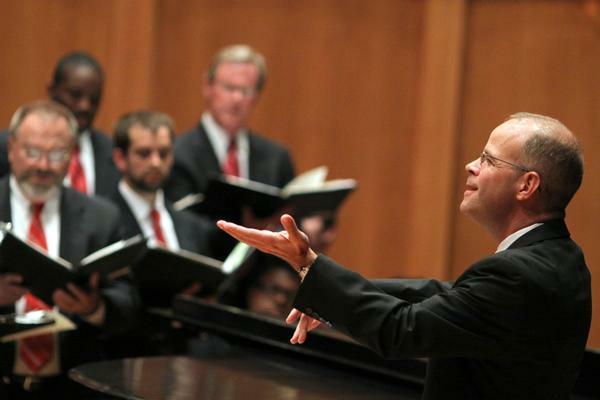 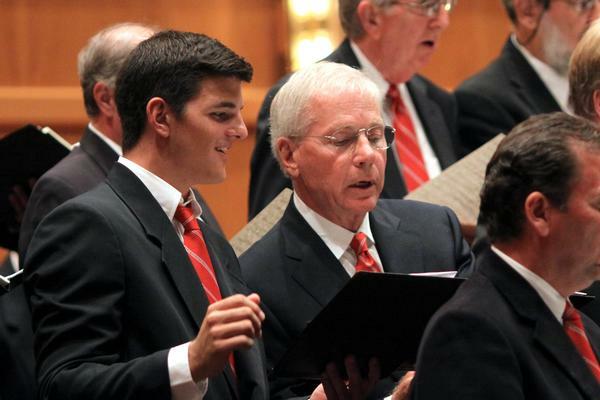 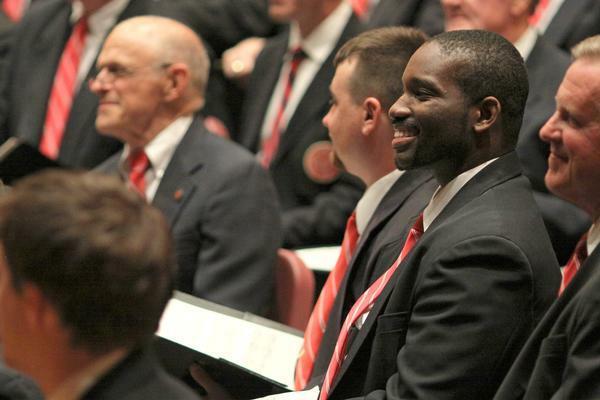 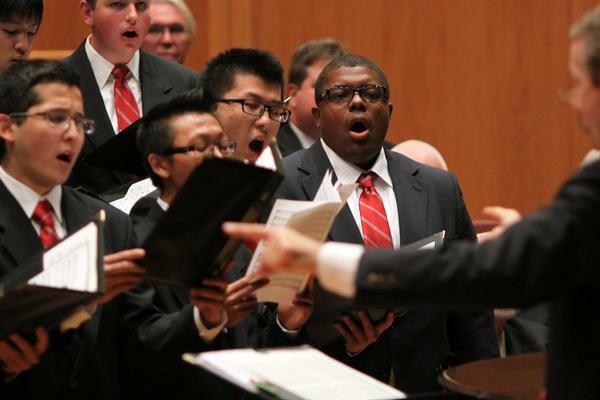 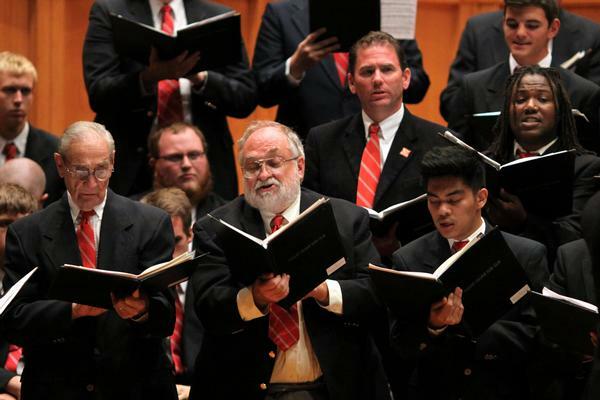 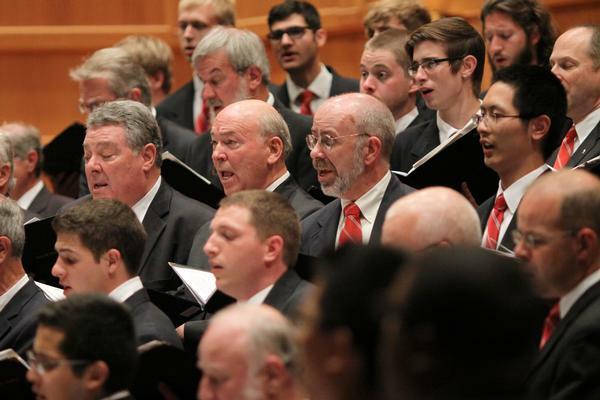 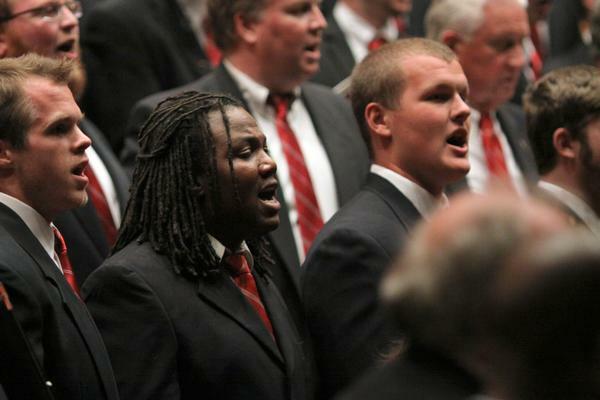 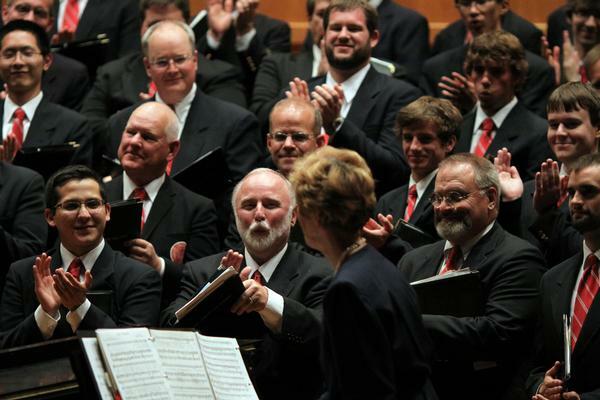 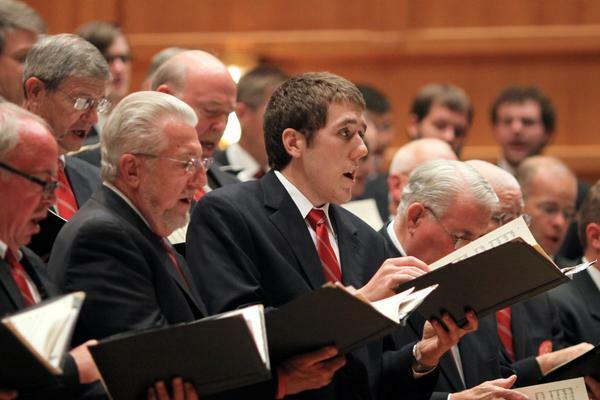 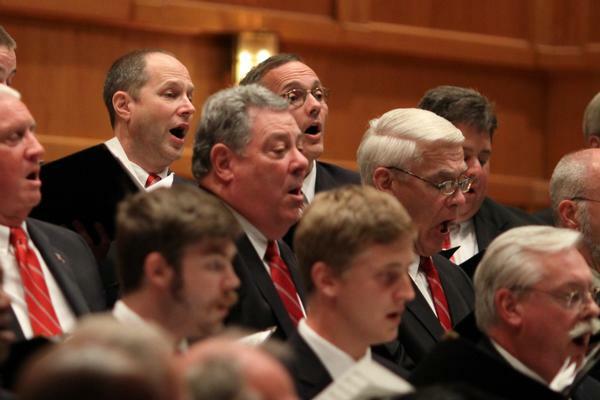 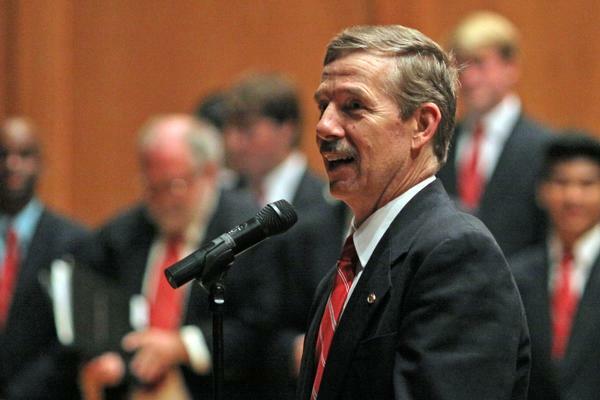 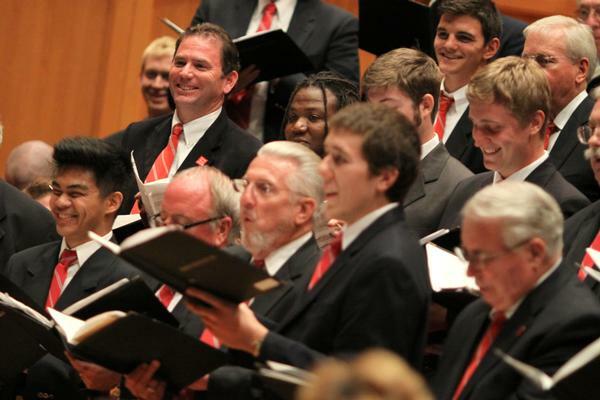 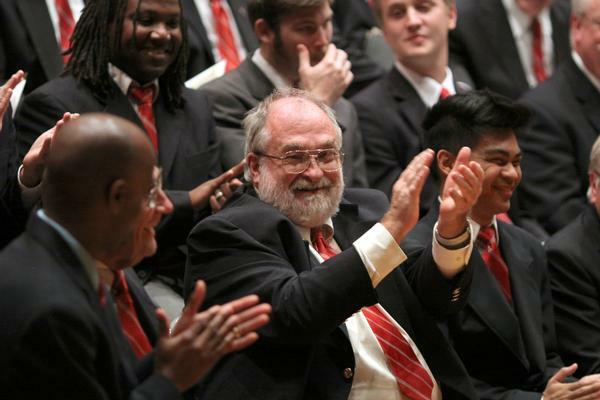 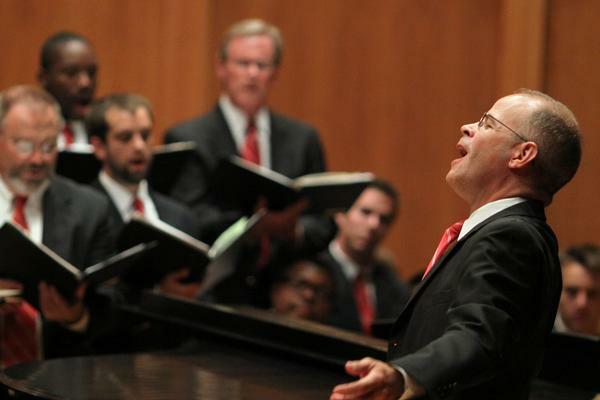 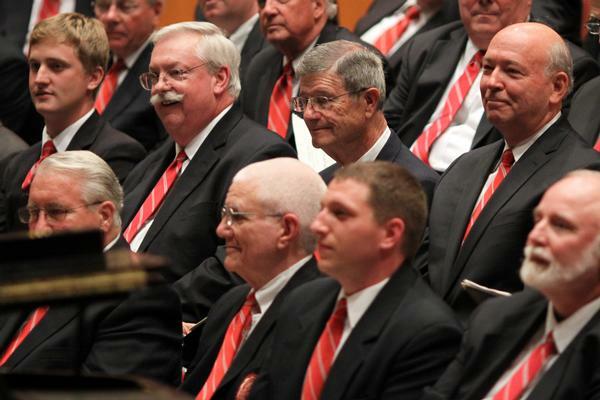 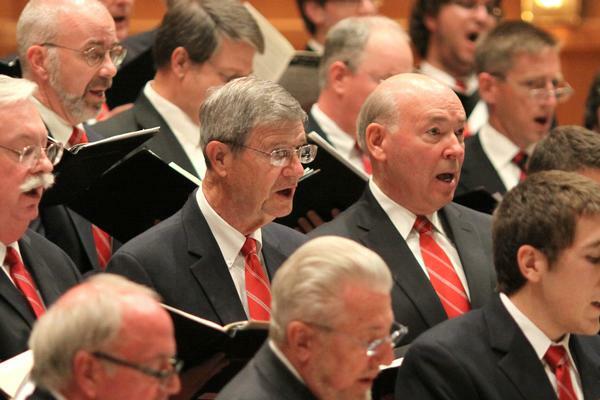 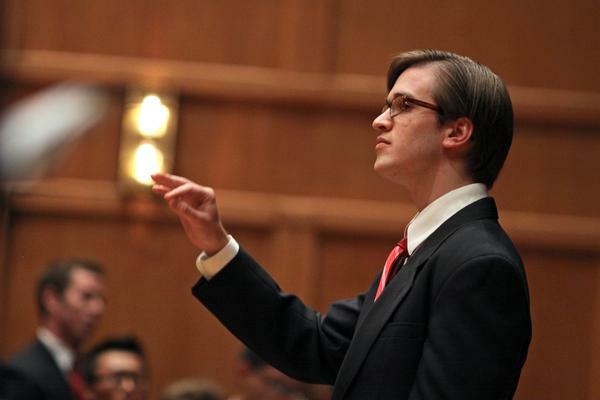 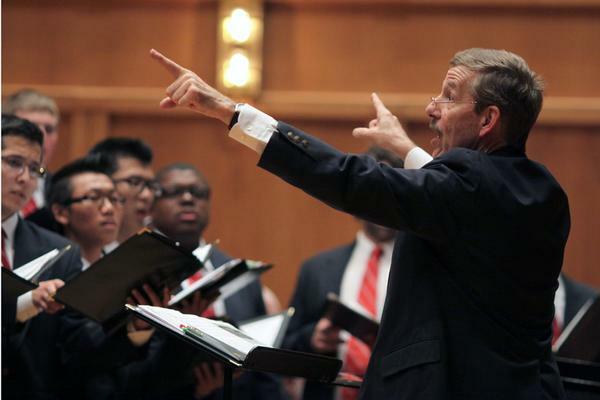 The director of the Butler Chorale and the Indianapolis Symphonic Choir, Stark was one of more than 60 alumni returning for Homecoming, joining the current student Glee Club to celebrate the 120th anniversary of the Wabash College Glee Club. 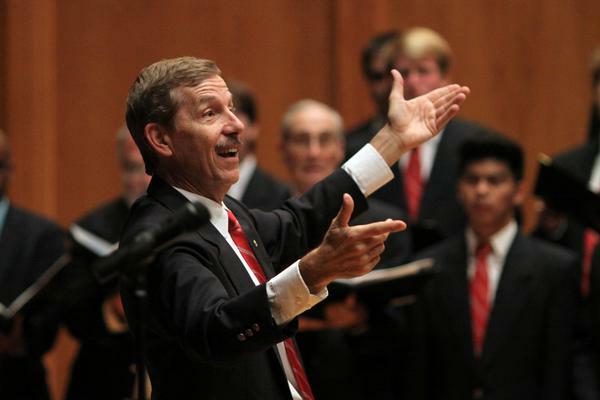 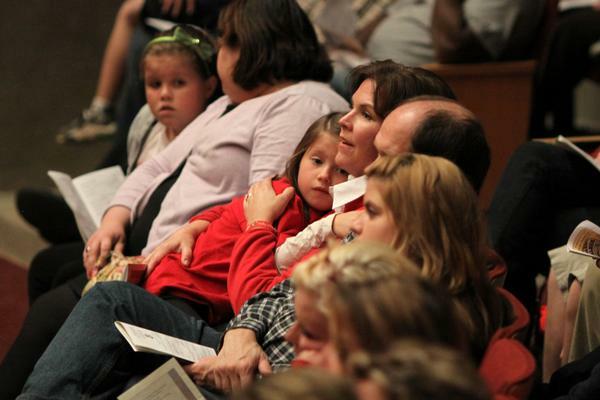 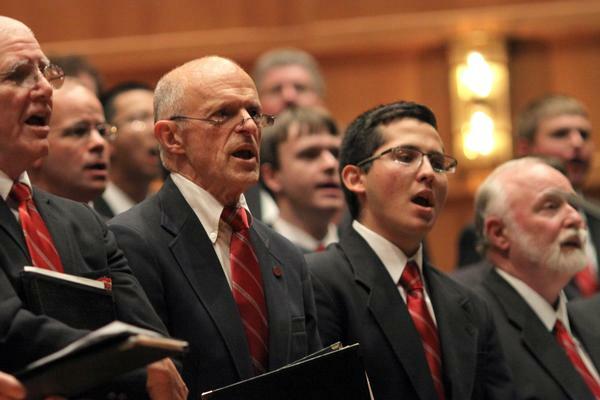 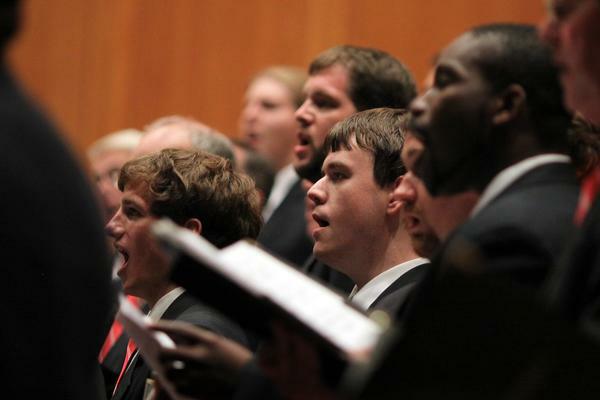 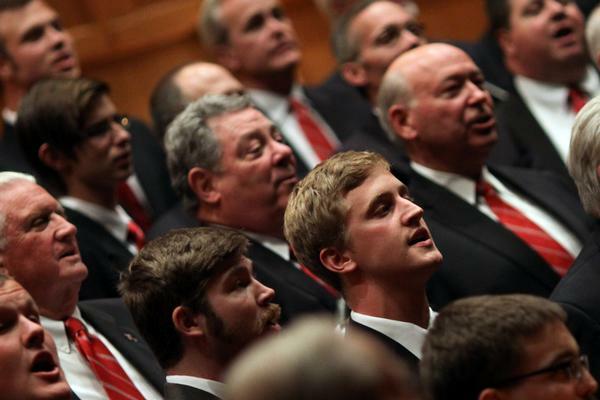 A standing room only crowd in Salter Hall cheered a program led by Glee Club Director Professor Richard Bowen that covered the repertoire of generations of Wabash singers from 1950 to 2012.